Morgul emerged from the countryside surrounding Oslo, Norway in the year 1991. They soon recorded two demo-tapes: Vargvinter & In Gowns Flowing Wide, which were spread through the underground. Eventually this managed to garner them a deal with Napalm Records. The band at this time consisted soley of Hex, on drums and mainman Jack D. Ripper on guitars, bass, keyboard and vocals. 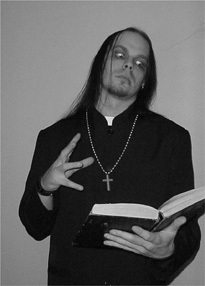 Together they realeased two albums: Lost In Shadows Grey & Parody Of The Mass. 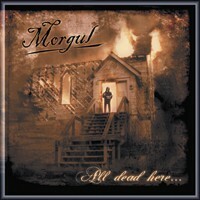 Parody Of The Mass being recorded at Abyss Studios in Sweden by Mikael Hedlund from Hypocrisy, especially created interest for Morgul within the underground and soon the media mentioned them to be THE hidden treasure within the black metal scene. 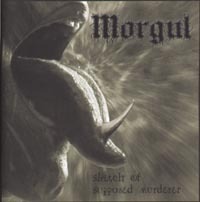 In the year of 1999 Morgul signed to Century Media Records and started working on new material that saw the band breaking the boundaries of a somewhat over-crowded black metal genre and came up with a more varied and personal sound. This album also marked a change in producer and studio. Every album including and following The Horror Grandeur has been produced by Terje Refsnes at Soundsuite Studios in the south of France. It's also of interest that prior to the recording of The Horror Grandeur, Hex and Jack D. Ripper parted ways musically for personal reasons, leaving Jack D. Ripper sole responsible persons for Morgul. The only guest musician on The Horror is Pete Johansen (The Scarr,Sins of Thy Beloved, Sirenia, Tristania) an amazingly talented violinist from Western Norway.